Dr. Khaled Almilaji is unable to return to his medical studies in the United States, after U.S. President Donald Trump temporarily banned Syrians from entering the country, CBC's Derek Stoffel reports. A young Syrian doctor who stared down a polio epidemic and has worked tirelessly healing others during his country's civil war now faces one his biggest challenges: U.S. President Donald Trump's travel ban. Trump's executive order barred all Syrian refugees from entering the United States indefinitely and temporarily halted entry for citizens of seven mainly Muslim countries, including Syria. 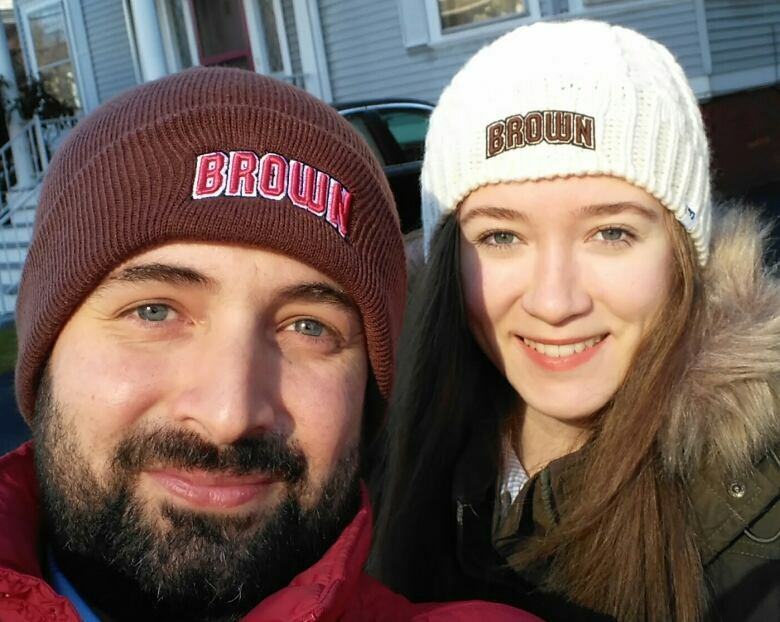 The order has blocked Dr. Khaled Almilaji from returning to the U.S., where he is enrolled in a master's program in public health at Brown University in Providence, R.I., and may end up bringing him to Canada. "It's very obvious that it's a message. It's discrimination," said Almilaji. "And [Trump] chose the weakest countries so he will not affect his business." The president has been accused of omitting from the ban countries where he has privately done business, such as United Arab Emirates, Saudi Arabia and Qatar. 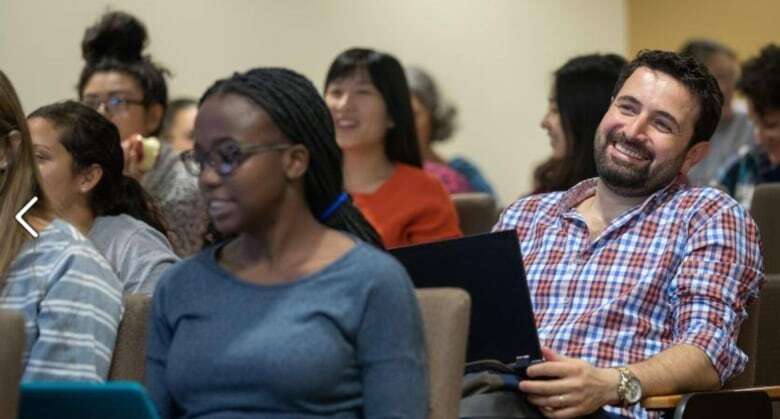 The 35-year-old Almilaji, in addition to his studies, also works with the Canadian International Medical Relief Organization, a medical charity that has delivered health care in Syria during the six-year-long civil war. Almilaji helped co-ordinate a program that delivered vaccines to 1.4 million Syrian children to help deal with a 2013 outbreak of polio. He left the U.S. on Jan. 1 and went to Gaziantep, a southern Turkish city near the border with Syria. Almilaji said he wanted to check in on work with the Canadian charity and renew his Turkish residency permit. But when it was time to return to Rhode Island for the winter semester, which began on Jan. 25, he was told by American officials he could not travel because of the new restrictions. Almilaji, who spoke to CBC News from Gaziantep, said keeping people out of the U.S. is "hurtful" to American interests. "It is a great and important country … because they are supporting other people, because they love other people, because they send messages of inclusiveness and of peace," he said. Almilaji said he remains hopeful that he will be granted a new visa to allow him to return to this studies in Rhode Island, where his pregnant Syrian-born wife remains. But he is considering his options if that does not happen. Canadian Immigration Minister Ahmed Hussen said earlier this week that Canada would offer temporary refuge to any people stranded because of the U.S. restrictions. Almilaji said it's possible he would apply to a university in Canada in an effort to complete his studies. But eventually, Almilaji said, he wants to return home to help rebuild Syria's medical system, which has nearly been destroyed during the country's devastating civil war. "It is a catastrophe, but there is nothing impossible, so we will fix it. I want to help because I believe in a better Syria."